This article describes the existence of shamanism in Hungarian society. I argue that seemingly unrelated complexes (the horse and riding, dance and movement, and the usage of the drum or its substitute the sieve) provide a key to an understanding of the historic and ethnographic presence of a shamanistic world-view in Hungarian culture. Previous models have argued either for the Slavic aspects of Hungarian folk religion or, on the contrary, for a “paganistic” Siberian heritage remaining unchanged throughout the centuries. On the contrary, this analysis is conducted in light of recent writings about shamanism, related folkloristic, symbolic and linguistic materials in a variety of societies including Hungary. I conclude by discussing the implications that shamanistic studies may have for theorizing past and present religious practices in different cultures. Native terms denoting ‘sacred’ are an important means of defining the cognitive boundaries by which ethnic communities have delimited their internal and external worlds. 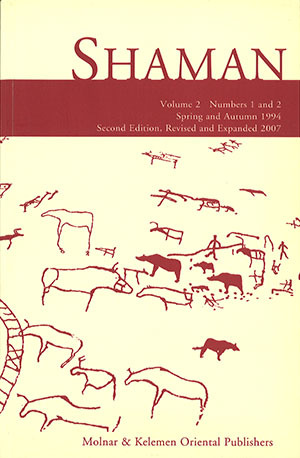 The author is of the opinion that the study of the culture-specific semantics of the terms in their prehistoric contexts can offer some new insights into the religious element in shamanistic traditions. He argues from the point of view of cognitive anthropology that the fundamental meaning structures that have shaped and organized the cognitive schemes, mental imagery and ritual performances of shamans are the notions of territoriality and of the human body. Shamans remain a key figure of Nepal’s religious landscape. In each of the diverse diagnostic, healing, protective, or otherwise interventionary ceremonies that Himalayan shamans perform, they recite previously memorized oral texts. These recitals, the core of shamanic knowledge, explain the situation that is to be treated and detail the methods of its treatment. To provide a concrete example of such a recital, I present the Nepali text used to treat problems of astrological origin, along with its line-by-line English translation, a short introduction, and notes to eluciade its language and context. The account of a Lappish shamanic séance in the twelfth century Historia Norvegiae is the earliest detailed account of Lappish shamanism, and is important not only for its age, but for its focus upon a specific séance. No full-scale analysis appears to have been produced hitherto, taking account of later records of shamanism among the Lapps and elsewhere, and also of the colouring lent to the account by the author’s familiarity with Norse magical practices. It emerges that, although the author appears not to have understood the practice of sending out the free-soul and has reconceived the séance in terms of the activities of the Norse magical spirit the gandr, the account is nonetheless essentially reliable (with careful interpretation), and hints at a richness in the practice of Lappish shamanism lost by the time of the later records.